Non bitter vegetable type Aloe vera (IC333202) is an elite medicinal plant grown in different parts of the world. A protocol for large scale Aloe vera production was established using micropropagation of axillary shoots. The explants were placed on semi solid MS medium with the addition of various concentrations of BAP and kinetin. After 8 weeks, the best proliferation of shoots per explant (16.7) and the best rooting was observed in IBA free medium. The rooted plant lets were gradually acclimatized in mud pots containing mixture of sand and soil. Dwivedi, N., A. Indiradevi, A. Suma, and R. Asokan Nair. “Rapid in Vitro Micropropagation of Non-Bitter Vegetable Type Aloe Vera L. (IC333202)”. 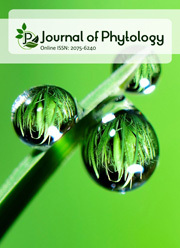 Research in Plant Biology, Vol. 4, no. 4, Aug. 2014, https://updatepublishing.com/journal/index.php/ripb/article/view/2624.